Get an Butte County Traffic Ticket? You Can Beat It! Did You Get a Ticket in Butte County, California? You can fight Butte traffic tickets by getting them dismissed much easier than you may think. In Butte, California, drivers are allowed to contest a traffic ticket using a Trial by Written Declaration. This is best way to fight a traffic ticket without going to an Butte courthouse or hiring an expensive Butte traffic ticket lawyer. We have found this to be the best way to contest a California traffic ticket, period. This option is available to every driver who receives a traffic ticket in Butte, California. In fact, if you turn over your traffic ticket you will see that a Trial by Written Declaration is listed right on the back of your ticket as one way to fight it. This process has been around since 1978 to avoid having to pay traffic ticket fines. TicketBust has been helping California drivers prepare Trial by Written Declaration’s for over 14 years. In fact, tens of thousands of vehicle tickets in California have been contested using our system. We are the original traffic ticket fighter and the TicketBust system has been developed specifically to prepare all your documents properly based on how you answer a few questions. This way you can fight your ticket, knowing you have maximized your chances of having the court dismiss your Butte County traffic ticket. TicketBust service will prepare your full defense package for you, which includes your Trial by Written Declaration and all the defense documents required by Butte traffic court. Fill out the yellow form to fight your Butte traffic ticket now! Did you know that you aren’t allowed to pass the white limit line when you are stopped at an intersection? From our experience, this can be a common ticket issued in the county of Butte, so be on the lookout and stay behind that solid white line. If you find yourself having received a traffic ticket in Butte, give us a call or fill out our form to see how we can help! 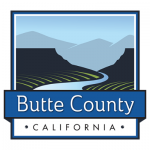 Butte County was one of the original 27 counties in California, created February 18, 1850. Named for the prominent valley landform, the Sutter Buttes, Butte County originally also encompassed present day Lassen, Sutter, Tehama, Glenn and Plumas Counties. The county encompasses 1,636 square miles of land spanning from 90 to over 7,800 feet above sea level. Located along the western slope of the Sierra Nevada mountain range, the steep slopes make the area the opportune location for hydroelectric power plants. The majority of Butte County’s 220,000 residents live in one of five towns or cities; Biggs, Chico, Gridley, Oroville, or Paradise. Butte County is committed to protecting and enhancing agriculture as the backbone of the local economy. The area is known for producing walnuts and almonds which make up over 90,000 acres of the 107,000 Fruit and Nut crop acreage in the area. Butte County is home of the California State University, Chico, Lake Oroville, and the Sierra Nevada Brewing Company. It also has been seen in various films including Gone with the Wind, Friendly Persuasion, The Klansman, and The Adventures of Robin Hood.